This is a self-initiated project. 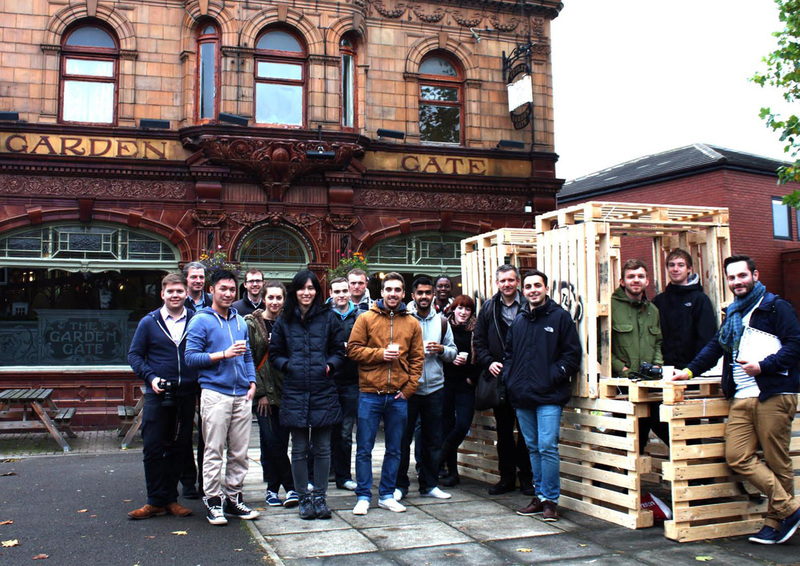 Whilst engaging with the Garden Gate project we noticed that this beautiful pub’s immediate environment was a desolate street that we discovered used to be the high street and centre of the Hunslet community but has been dismantled over time. 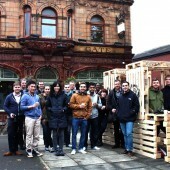 Four urban frameworks have been produced titled Hunslet Grow, Responsive Hunslet, Handmade Hunslet and Patchwork Hunslet. 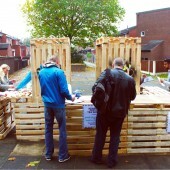 The projects were presented at the Garden Gate to an invited audience. The next stage is to present our work formally to the local authority. The scheme also included a project for Leeds Brewery to redesign their toilet facilities at the Grade 2* listed public house in Hunslet, Leeds. 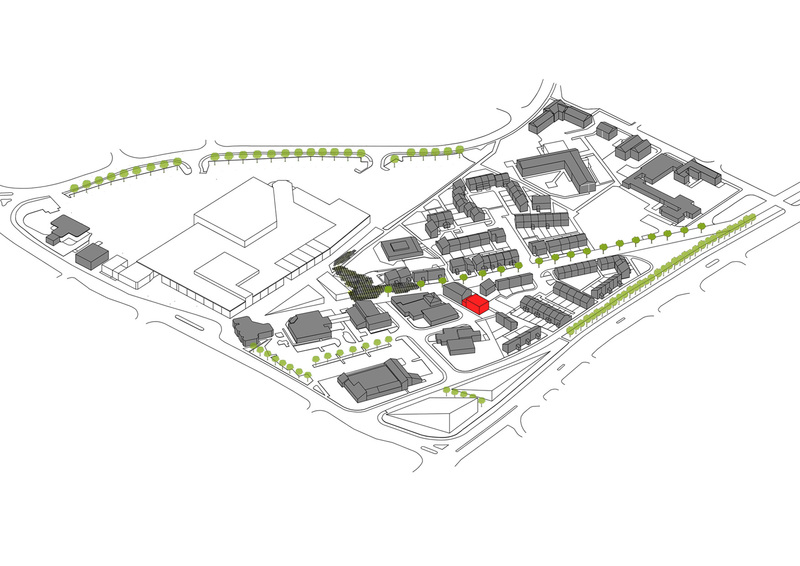 For pedagogical reasons the project was augmented by a speculative exercise to re-imagine the building as a community focus. The re-worked public house could have the addition of a community cinema, a cider tower, ‘heaven and hell’ village hall or a music venue … as well as new toilets. 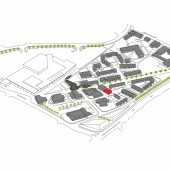 All proposals are linked to our Hunslet Urban Framework project. 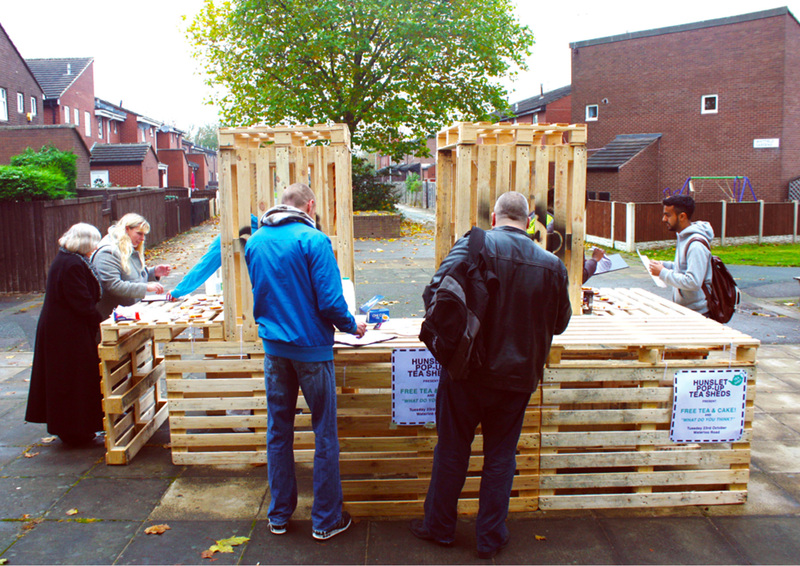 Research Question: Experiencing the live project at the scale of the urban framework.